Two words might spring to mind when discussing one of Canada’s biggest lottery winners: Wang + Mississauga. This may look like a high-tech stereo brand name but it is, in fact, the surname of the biggest Canadian lottery winner and the town where she bought her winning ticket. She is just one of many lucky people who struck lottery gold and forever changed their lives. Zhe Wang’s big win puts her at the top of the list that every lottery ticket buyer aims to be on: the largest lottery prize winner who wins with a single purchased ticket. It was only one ticket that was needed to net Wang the enormous Lotto 6/49 jackpot win of CA $64 million. Like many of the other lucky lottery ticket buyers in this article, Wang was a regular lottery player. 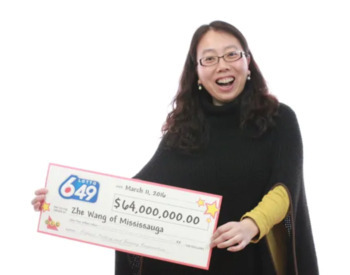 Ms. Wang personified the “in it to win it” mindset when she bought her solo lottery ticket at the Petro-Canada (a Canadian gas station chain) one fateful day in Mississauga. It led to 2016 being her red-letter year, never mind a red-letter day. Zhe’s record-breaking win stands as the biggest Canadian lottery prize for one person with one ticket to date. 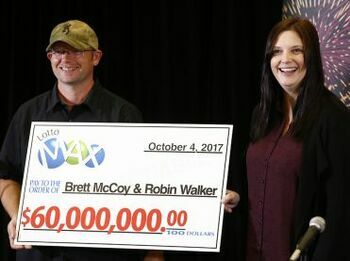 When discussing Canada’s biggest lottery winners another two names that will likely pop up are Brett McCoy and Robin Walker. In October 2017 the Yellowhead County, Alberta, couple won CA $60 million with a CA $11 Lotto Max “Quick Pick” ticket. The couple’s first purchase was a shiny new truck, but the Walkers and their children (who range in age from 4 years to 16 years) plan to pay it forward, as they said they did not want to be the only people to benefit from the win. Good people. As life-changing as a solo win can be, winning as a group with a shared lottery prize is still an outstandingly happy occasion. 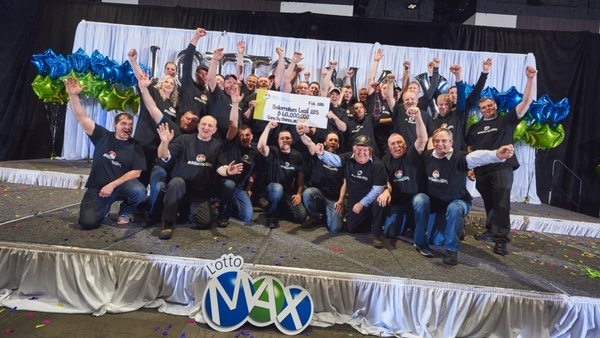 Just ask the 2018 Canadian $60 million Lotto Max jackpot winners at the Come By Chance Oil Refinery in Newfoundland and Labrador. The 31 members of the Boilermakers Local 203 union were friendly co-workers who had been buying $155 worth of tickets every week for the last three months. Each member would throw $5 into their lottery ticket fund, and Sherry Hickey would pop out to buy the tickets. She works with her husband and union member Lee Hickey, so the Hickey’s CA $1.9 million portion of the prize was immediately doubled. Other lucky winners in the group includes a set of identical twin brothers and a father and son team. What are the chances of the biggest winning prize going to a town named Come By Chance? Those odds may be small, but the jackpot win turned out to be an exceedingly rewarding return on investment. Celebrating Turning 18 With a Lottery Win! 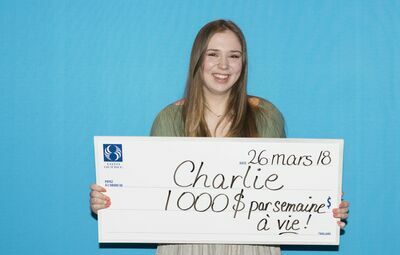 Some teenagers celebrate their eighteenth birthday with a party, but Canadian teenager Charlie Lagarde decided to buy a scratch-off lottery ticket and a bottle of bubbly. It was only on the return home that she discovered that her ticket had scored her the biggest Loto Québec prize of $1 million! Players stand a one in six million chance of winning the grand lottery prize, but winning it with the first ticket one purchases is an incredibly lucky shot. The grand prize winners can choose to receive a weekly payout of $1,000 for the rest of their life or a lumpsum check for CA $1 million. After a few weeks of indecision, Lagarde chose to take the lifetime annuity with weekly payments of $1,000 after conferring with a financial adviser. Lottery winnings are tax-free in Québec, and lifetime annuities are paid to the big prize lottery winner for the rest of their life. This is different to the United States where some lottery wins are limited to annuities being paid over 25 years. And what does Lagarde plan to do with her massive March 2018 win? She says she plans to travel, as this has long been one of her passions, and then she wants to study photography with an eye to fulfilling another dream – working for National Geographic. 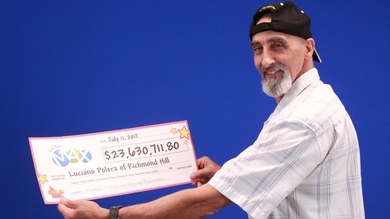 Luciano Polera had a weekly tradition that he stuck to for forty years: buying a lottery ticket every Friday without fail. In July 2017 he was checking the numbers over his Saturday morning cup of coffee and suffered a severe shock, as he thought he had omitted to circle the seventh number and missed out on the huge $23.6 million Lotto Max grand prize. After telling his wife Cathy, she checked his numbers again and saw that the seventh number was, in fact, there. They had in an instant become one of the biggest lottery winners in Canada. While Cathy screamed and jumped around, Mr. Polera remained calm as he figured it was finally time that he won—after such perseverance! He called the OLG (Ontario Lottery & Gaming Corporation) to ask them what to do next, and they told him to head to the store where he had bought the ticket and have it validated. The store retailer, customers, and the Poleras all celebrated the “forty-year wait” win together. What Do Prison Guards and Undercover Cops Have in Common? This is not a joke. Being a prison guard or an undercover police operative are two reasons the B.C. Lottery Corporation will not publish a big lottery winners’ identity details. Normally, however, one of the conditions to be met before getting the prize money is allowing the corporation to publish the person’s name, address, picture and the amount that they won. To see publishing the winners’ details from the perspective of the lottery adjudicators is very easy. Just one look at the ecstatic faces of Zhu Wang and the Boilermakers 203 Union is enough to inspire anyone that dreams can come true. Sharing the happiness is what a big jackpot win is all about. It was the thought of all the attention they would receive that kept a March 2014 jackpot winner from coming forward for nearly one year to collect the whopping $50 million prize. 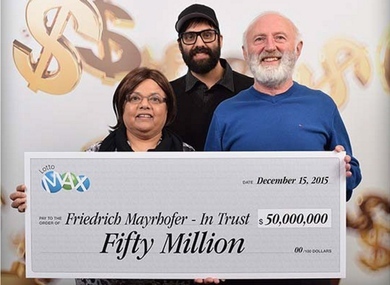 Almost one year after the winning Lotto Max ticket was sold in Langley, British Columbia, the ticket holder came forward to collect the mega-prize. The level of interest in the winner and the unclaimed jackpot was unprecedented as the money would have been re-distributed into future lottery wins if it remained unclaimed. Despite the winners’ attempts to remain anonymous, their names were finally released in December 2015. Friedrich and Annand Mayrhofer and their son Eric had to collect the jackpot in person, even though they formed a trust in order to stay out of the limelight. They were extremely happy with their win but tried to stay under the radar because they said they were a naturally quiet family. They went on to state that they planned to renovate their home, buy some furniture and go on a sunny vacation. As an interesting side note, this is not Friedrich’s first time at winning. He had previously won $1,000 and $3,000 on two separate occasions but kept on buying tickets in search of the big win. Turns out that was a very good idea. These stories of massive Canadian lottery winners are inspiring for anyone who wants a chance to be in the running for a big win. After all, it happens to someone every week!